by NAJIA HOUSSARI -- arabnews.com --- BEIRUT: Lebanese President Michel Aoun pledged the safe return of Syrian refugees, with the European Union (EU) confirming it was ready to help in all areas of repatriation. Aoun met the EU’s foreign policy chief, Federica Mogherini, in Beirut. She had been in Sharm El-Sheikh, Egypt, for a two-day Arab-EU summit and was on the same flight as Lebanese Prime Minister Saad Hariri, who had also been at the summit. 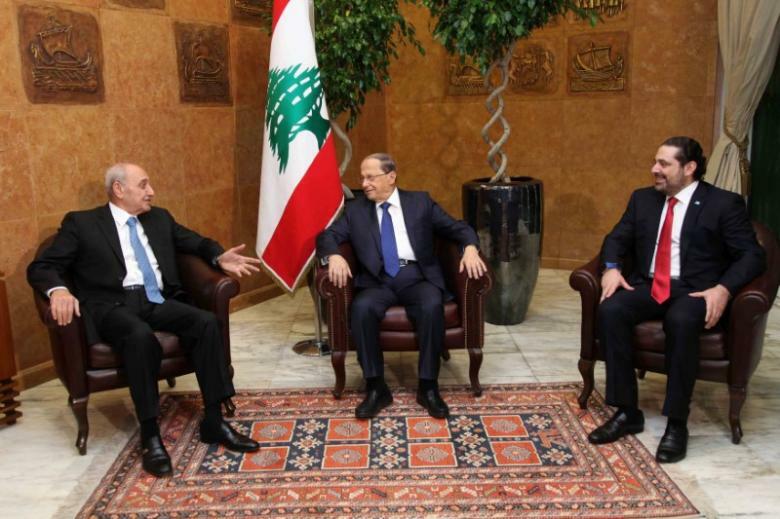 During a meeting with Mogherini, Aoun said: “Lebanon will continue to work to ensure the return of Syrian refugees to safe areas in Syria, and we will not wait for a political solution to the Syrian crisis as it may take long. “We have received information in Beirut indicating that returning refugees are being cared for by the Syrian authorities, who have provided them with prefabs, infrastructure and schools - the EU and other international organizations can verify this.” Aoun said that while the EU made political decisions, Lebanon’s were socio-economic, referring to the negative impact of the Syrian refugee population in Lebanon. 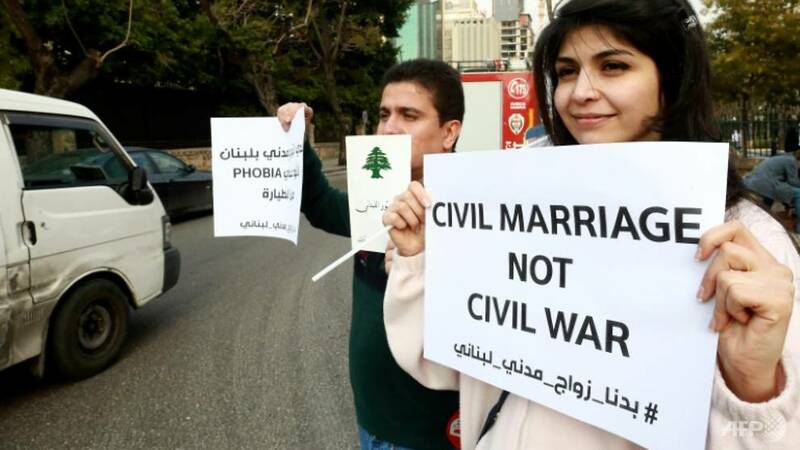 Source: AFP -- BEIRUT: Dozens of protesters rallied in the Lebanese capital Beirut on Saturday (Feb 23), calling on the government to recognise civil marriages carried out on home soil. The demonstrators gathered in front of Lebanon's interior ministry, days after recently-appointed Interior Minister Raya al-Hasan said she is willing to engage in "serious and profound dialogue" over the issue. The minister's comments prompted a backlash from religious bodies, including the highest Sunni authority in Lebanon, and stirred debate on social media. Lebanon has 15 separate personal status laws for its recognised religions but no civil code covering issues such as marriage. Many Lebanese couples travel to neighbouring Cyprus to tie the knot in a civil ceremony, because Lebanese authorities recognise such unions only if they have been registered abroad. Hasan, the first female interior minister in Lebanon and the Arab world, touched on the issue of civil unions in an interview with Euronews last week. She said she would "personally endorse" attempts to establish a framework to govern civil marriages in Lebanon. "I will try to open the door for serious and profound dialogue on this issue with all religious authorities and others, with the support of Prime Minister Saad Hariri," she said. Dar al-Fatwa, the highest Sunni authority in Lebanon, issued a response the day after Hasan's interview was published, saying it "categorically rejects" civil unions conducted on Lebanese soil. Such unions "violate the provisions of Islamic law" and "contravene the provisions of the Lebanese constitution" regarding the authority of religious courts over personal status issues, it said. The highest Shiite authority in the country also expressed opposition. "The Lebanese constitution recognises that every sect has its own personal status laws," deputy head of the Supreme Islamic Shiite Council said Friday. "We strongly oppose civil marriage because it violates the constitution," he said. The head of Lebanon's Maronite church, Beshara Rai, however, said he was "not against civil unions" conducted on Lebanese territory. In 2013, the interior ministry took the unprecedented step of registering a civil marriage conducted in Lebanon. However, only a handful of civil marriages have been recognised since the landmark decision, campaigner Lucien Bourjeily told AFP on Saturday. Former president Elias Hrawi in 1998 proposed a civil marriage law, which gained approval from the cabinet only to be halted amid widespread opposition from the country's religious authorities. Go to just about any conference today and you will hear a familiar tale of woe. A once great corporation, which had dominated its industry, fails to adapt and descends into irrelevance. The protagonists of these stories always come out looking more than a little bit silly, failing to recognize business trends that seem obvious. The problem with these stories is that they are rarely true. Make no mistake, it takes a considerable amount of intelligence, ambition and drive to manage a large organization. The notion that these people overlooked what was obvious to everyone else is overly facile and simplistic. It’s also misleading. Great companies do not fail because of a single decision or trend. The roots of disruption are always more complex than that. So by imagining CEOs to be morons, we neglect to look more closely at their demise and learn valuable lessons. The truth is that every business model fails eventually. We need to learn the true sources of failure if we are to overcome them. A favorite pundit punching bag is Blockbuster. The story, as they tell it, is that Blockbuster was blind to the threat that Netflix represented, subjected its customers to predatory late fees and failed to formulate a strategy to adapt to the digital world. Not surprisingly, the once might company descended into chaos, then bankruptcy. The truth is much more complex, interesting and troubling. As former CEO John Antioco explains in a HBR article (and nobody disputes his facts), after initially dismissing Netflix as a niche player, his team soon saw the writing on the wall and moved quickly to discontinue late fees and invest heavily in an online platform. Eventually, his team came up with a strategy that actually began to beat Netflix at its own game. It was called Total Access and it allowed customers to rent videos online and return them in stores. It immediately gained traction and before long Blockbuster was adding subscribers faster than Netflix was. So what happened? Investors didn’t like the costs associated with the program (about $400 million) and franchisees were wary about the threat to their businesses. Things came to a head in 2007 when, after a salary dispute, Antioco was fired. His replacement, Jim Keyes, reversed the strategy to focus on the retail operation and the company went bankrupt three years later. Notice the difference. The way the pundits tell it, if the silly fat-cat executives were paying attention, all would have been well. The reality is that the senior leadership came up with a viable strategy, but couldn’t manage the internal networks of forces that derailed it. That’s not so simple. BEIRUT, Feb. 21 (Xinhua) -- Lebanese ministers said on Thursday that the relations with Syria topped the agenda of the first meeting of the new cabinet which won the parliament's vote of confidence last week, National News Agency (NNA) reported. "The government's first session focused much on the issue of the relations with Syria," Lebanese Finance Minister Ali Hassan Khalil was quoted as saying by the NNA. Ministers from different parties voiced their different points of views about ties with Syria. Khalil said his party, the Amal Movement, emphasized the need to expand relations with Syria as it is in the interests of Lebanon. Meanwhile, Minister of State for the Displaced Saleh Gharib declared after the meeting that he will work on solving the issue of the Syrian refugees in a way that meets Lebanon's interests. "Our direct contact with Syria is in Lebanon's interests because it will solve the Syrian refugees' issue and reduce the burden on the Lebanese economy," he said. Gharib visited Syria on Monday to discuss with the Syrian government the issue of the Syrian refugees' return to their homeland from Lebanon. However, Gharib did not get an official approval from Lebanese Prime Minister Saad Hariri to visit Syria over the issue of refugees, local newspaper Asharq al-Awsat quoted ministerial sources as saying. May Chidiac, Lebanese Minister of State for Administrative Development, also said the cabinet agreed that refugees must return to their homeland despite disputes over the relations with Syria. "Some of the ministers in the cabinet forgot that the Syrian regime placed Hariri on the list of terrorists," said Chidiac, who belongs to the Lebanese Forces party allied with the Future Movement headed by Hariri. BEIRUT, (Xinhua) -- David Frem, ambitious founder of Frem Industry, will finally realize his dream of launching "Frem Immortal," the first car to be designed and manufactured in Lebanon. "We are working on getting a permit from the industry minister to allow the registration of any car manufactured by our company," Frem, a young Lebanese automotive engineer, told Xinhua in an exclusive interview. "We can take the industry sector in Lebanon to the next level," he said. Frem said he has been fighting for seven years for the government to give number plates to his cars. "We finally succeeded in our endeavor after our car passed the mechanic inspection test," he said. BY ABBY SEWELL nationalgeographic.com --- In the mountains above Beirut, a stately Ottoman-era hotel came to life again last autumn after decades of abandonment. The Grand Hotel Casino Ain Sofar–once a preferred vacation spot for the region’s stars and the site of weddings and lavish parties–was left to looters and the occupying Syrian Army during Lebanon’s civil war, which lasted from 1975 to 1990. It was finally left empty and in disrepair. But this past fall, hundreds of Lebanese and foreign guests once again flooded the hotel—renovated but still deliberately bearing the scars of its past—this time for weeks of events that included an art exhibition, storytelling nights, and DJ sets. The hotel has once again become the site of weddings and parties. 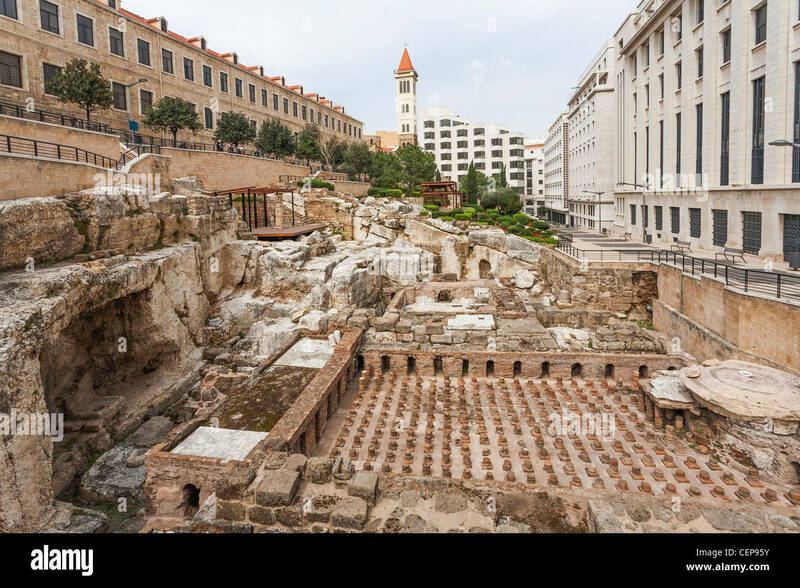 It’s one of a handful of examples in a growing push in Lebanon toward rehabilitating threatened landmarks, many of them damaged in the war, and re-envisioning them as collective spaces. Amid the largely privatized post-war reconstruction process, developers and politicians imagined Beirut transforming into a glittering modernist metropolis like Dubai. Many of the city’s historic French Mandate and Ottoman-era buildings were leveled and replaced by high rises. Get amazing videos, travel tips, and pictures of the world’s most beautiful and far-flung places, plus special offers. by Rachel Cooke @msrachelcooke -theguardian.com --- Nadine Labaki is a Lebanese actor and director whose latest film, Capernaum (meaning confusion or chaos in Arabic), won the jury prize at the 2018 Cannes film festival and has since been nominated for a Bafta (beaten by Roma) and an Academy Award. The film tells the story of a 12-year-old boy, Zain, who lives in a Beirut slum and whose parents are incapable of taking care of him. Having run away from home, he lives for a while with an illegal immigrant from Ethiopia, Rahil. None of those who appear in the film is a professional actor. How did you come to start thinking about Capernaum? In Lebanon, we are exposed to the sight of children suffering on a daily basis. They are there on the streets, selling gum or flowers or carrying heavy loads, such as gas tanks. Sometimes, they’re just lying there. I once saw this kid on a cement block in the middle of the road at one o’clock in the morning. He wanted to sleep, but he couldn’t. It began with feeling responsible, with wanting to become the voice of these kids. I thought: if I stay silent, I’m complicit in this crime – and it is a crime that we allow this to happen. I don’t know how we live with ourselves. These children are in perpetual danger. So I started going out with my co-writers to the most difficult neighbourhoods – to the slums, to the detention centres, to the courts – just watching. The boy at the centre of the film, Zain, decides to sue his parents. Where did you get that idea? I asked the children I spoke to if they were happy to be alive and for most the answer was no. One of them told me: “I don’t know why I was born if no one is going to love me, if no one is going to kiss me before I go to sleep, if I’m going to be beaten up every day.” One day, it hit me. This is going to be the story of a child who says: no more. For the character of Zain’s mother, I was inspired by a woman who’d had 16 children, seven of whom died from neglect.